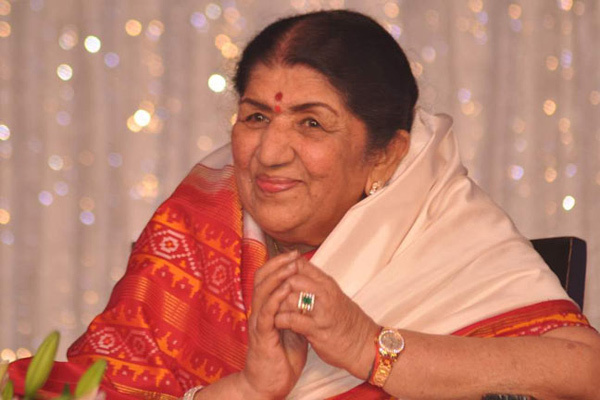 MUMBAI: At the National Laadli Media Awards for Gender Sensitivity held in Mumbai on 20 March, Lata Mangeshkar was presented with the Laadli Voice of the Century award for her outstanding contribution to Indian music over the years. The event is instituted by Population First (PF), which is an initiative for gender equality and community empowerment. Winning the Best Community Radio Programme was Community Radio Station- Waqt ki Awaz’s Neetu Singh for the show ‘Mere Bhi Kuch Sapnay Hain’. “The Laadli Media and Advertising awards started in 2007. Back then we only received 100 entries from media houses, and received very shocking articles like ‘How to paint nails’ etc, since many did not understand the meaning of Gender Sensitivity issues. Today however, the responses are so great, and are based on all kinds of issues like trafficking, acid attacks etc. More importantly, the quality of research and commitment of the writers is commendable, giving us more than 1300 entries this year,” added Sharada. The jury selected 13 national award winners out of 77 regional winners. Maharashtra Chief Minister Devendra Fadnavis was the chief guest at the awards ceremony. Amongst the advertising agencies, Oglivy and Mather won the ‘Laadli Grand Prix’ for its Titan Raga — ‘tum nahi badle’ advertisement, beating competition from RK Swamy BBDO, Lowe Lintas and McCann Erickson. A special award titled ‘Laadli Extraordinaire’ for honoring those who have fought against gender violence, discrimination and have shown exemplary courage and conviction in their personal and professional life, was given to Charu Khurana. The Bollywood make-up artist, after a five year legal battle with Cine Costume Make Up Artists and Hair Dressers Association, finally won the fight last November for women to obtain memberships as make-up artists in the association. Vikas Bahl’s 2014 release ‘Queen’ was given the Best Feature Film award, which was accepted by Lisa Haydon at the function held at NCPA, Mumbai. MUMBAI: Six scenes of LGBT content were cut from Bohemian Rhapsody, the biopic of British rock band Queen, for the Chinese audience, including the word gay, the media reported on Monday.